What does it mean to be human? How are we different from other animals? To be human mean that everyone should be equal. We are higher than anything. We are different from other animals because we have feelings and thoughts toward other people around us. I believe to be human you must have the ability to bring life to the things and people around you. As humans we must function with our society with success or failure, I believe the only thing that separates us from the animals is that we can talk. To be human is to be alive, moving, have organs, and to breath air. Humans aren’t perfect and we make mistakes. A difference between animals and humans is our languages. We speak differently and have different form of words. We are different between animals because we go to school, read books, use electronics, use recent technology and study things. Animals don’t use technology. Animals use what they have to make their lives happy and the way they want. Us humans have many things to help our lives that other humans build and create to help us cope with our lives. As human, we act civilize and not wild beast, murdering each other on sight and eatting each other. Human have a strong mind set and can think before they act. To be human means we have a purpose for being here. We take fault for our actions. We are different from other animals because we could speak, do jobs, and take care of other animals as pets. What does it mean to be human?Living,breathing,and learning is what make us human.Having a conscious that tell you what right from wrong.How are we different from other animals? Beside the fact that we can talk to communicate in some type of way and a conscious,we are fortunate to be able to do thing’s animal are not able to do or go to.We can go to school,eat real food,holidays,etc.Even though we are humans,we are not that so different from an animal. To be human means you have control over something or ownership. To be a human you are educated and have capabilities to do and communicate with others in a educated way. We as humans have the responsibility to take ownership of things we have done for example if somebody kills somebody then they have to go to jail for it. To be human mean being able to mistakes, look back at them and learn from them. Nobody’s perfect and this world we live in isn’t neither. Does not having feelings make you unhuman? NO! Feelings are there and you choose rather or not you want those feelings to be heard or known. Growing up is alson part of being human. The difference between humans and hogs is that it is bad to get called a hog but not a human and also a hog is looked at dirty but a human doesn’t. To be human means that we were born to do something in life. God has a purpose for everyone in their life so they can find themselves and figure out who they are in the world. To be human is something unique, it is something special we have. To be a human means that we can think and act, not everyone seems to have the ability to do those things, like our presidents, we can help each other because we can understand each other. What makes us different from animals is that we can think and reason before we act, most people act before thinking, but we still have the ability to do it. To be human is to be intelligent, that is what seperates us from animals.Animals rely only on instincts while humans think. To be human it means to show compassion, to have a heart. To care for others and do more for others then you do for yourself. To be human means to have freedoms, be yourself, think for yourself, be your own PERSON. we arent much different from animals because we both have brains, we think, we eat, we breathe, were alike in so many ways. However animals are kept as pets, used as science experiments, and look different from us. I feel like being human we have a purpose in life. We have to go to school, we have to work, we have to make change into this world and I believe that’s our purpose to live. To be human is to be civilazed in every matter. We are differnt from animals because we walk on to legs , we have a sense of right an wrong and we can put things to gather more complex. In my opinion , being human means hard working , has responsibilities , strives for success , and doing all they can to make their lives better. Humans are different from animals because animals does not really have responsibilities , does not have to work hard , does not have to pay bills , and does not try to become and be thier best. I really don’t know what it means to be human.. How are we different than animals? Well, we really aren’t that different from them. We eat and try to survive just like them. To be human is to make decisions and choices, through the use of logic and understanding. Animals make choices, but usually react rather than respond because of their instincts. Every choice or decision has an affect on something sooner or later in the life of the person who makes it, whether it be good or bad. I can’t exactly tell you what being human means. Strangely, I hardly see a difference in other animals and us. Well, I mean obviously we can talk and do a whole lot more than other animals, but… when it comes down to life, we’re all the same. We’re all trying to find a way to survive on Earth, sometimes alone and sometimes in a community. To be human means to be able to make mistakes and learn from them. To be human means to be able to do and right and wrong. Not only that but to respect everything and everyone around you as an equal. Being human is about the experience of choosing paths, being who you want to be. It’s about having morals, it’s about relationships with the unique people around you. Being human is about being yourself. To be Human means you have access to mostly everything. We are created by the man above. You have a lot of priveleges. To be a human means having rights that animals can’t have or cherish. Beinh a human means alot you have freedom of speech, and many more. A human is governed and ruled by money. Humans are different from animals in many different ways, for example going to school to learn. Humans are different from many animals because we have use of our thumbs, we also see the difference between right and wrongh unlike most animals, and we also have superior organizational skills. Humans also have the ability to speak to other humans by using an actual language. Being human means to have the characteristics of breathing through our lungs. Having thumbs to eat and pick up on things. Being able to feed and bathe ourselves at a table and in the tub. Having to speak and talk to one another. Animals can’t speak. some cannot feed themselves with their hands. Others dont have thumbs on their hands. They usually clean themselves with their tongues we actually take showers. In my opinion, to be human is to be mentally and subconsciously perfect. Being human means to be imperfect and to be entitled to certain rights, such as freedon of religion, sexuality, speech, and the right to an education.We are only heightened creatures cause of our ability to think, and then carry out our thoughts, which is only a possibility because biology has progressed us so. In addition to my earlier comment, i would like to elaborate on my it. A human has intellectual ability not many animals have, but the monkey is an exception. To be human means to have the basic human characteristics and to be civilized unlike animals. We are also superior to the majority of all other animals. to be a human is to have a voice and speak out when something is wrong and when you feel something is wrong or that you feel is not right. on the other hand when being a animal you cant stand up for the things that u feel are wrong to you and that are being done to you. a human can give a animal a voice . if i see a animal being done wrong i will speak up for that animal i will be the one to give that animal that has no voice. i will be the one to save them. i will try my hardest to the thing i feel natural to me to protect a harmless animal that hasn’t done nothing to a live organism besides the things that god created to do. if i see a tiger being harmed i will be there to be the voice of that tiger because that tiger was created by god to keep the food chain in order it was mad to be a killer it will do as it was created to do no reason to kill it. if you feel as though you should kill an animal because of what god created to do kill yourself. To be human is a gift, its a privilage, its opportunity, and its basically everything! I am extremly thankful to be human because I have a brain that I can use. Humans are different from animals not because of structure wise but because of common sense wise. Although animals have common sense, they don’t have it as much as humans do. To be human it means to be imperfect, to make mistakes, and to live. To be human means to have feelings, make mistakes, learn from them, and being imperfect. We are different from animals because they don’t go to school. Also, animals communicate with each other differently than humans do. They are able to live in different environments unlike humans. To be human is to be imperfect, to make mistakes, and learn from them. Nothing is perfect in the world, so why are humans obligated to be? We are able to voice or ideas and thoughts, unlike animals. We can carry out our vision. to be human is to be abnormal. To be human means is to make a difference in someone’s life and change the world. It means to have feelings, emotion, make mistakes, and learn from them. An animal is different from a human because they can’t do drugs, lie, go to school and learn. It means to be flawed, wise and foolish, filled with joy and sorrow, in every instant. It means that we are the embodiment of paradox, deserving compassion and contempt. I have no need to watch a segment of youtube to know these things for they are much older than the internet; these things have been true since before history, and they will be so until the end of time. We are different from other animals because we’re aware. We know we die. We reason, have emotions that drive us. We manipulate our surroundings rather than adapting to them. To be human you are treated with respect and dignity like a real human being. Unlike animals, we have human- like characteristics like a personality and a voice. Animals are not able to talk and have a say like humans do. Humans are given a different type of freedom than animals. Our freedom actually counts while animal freedom is looked across. 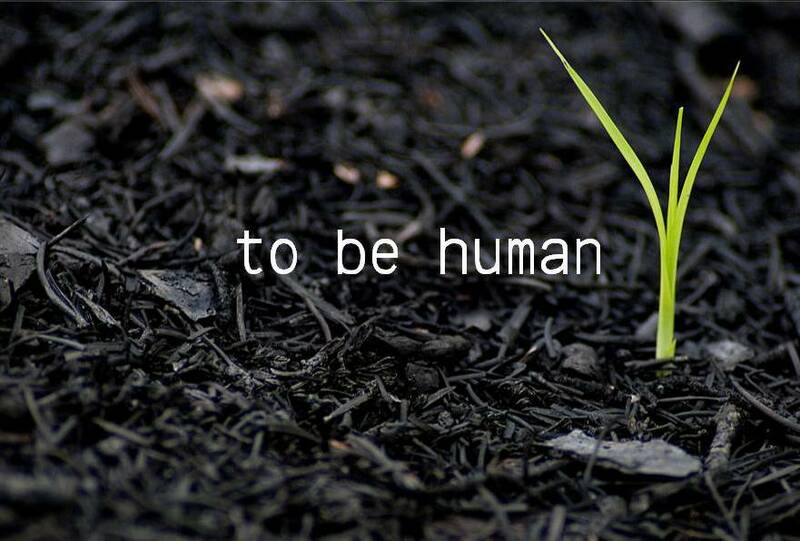 That is what is means to be human. We are different from animals cause they walk on four legs and we dont. Some animals are cold-blooded and humans not. We are warm-blooded. It means a lot to be a human you could a lot of things . We are primates. Should this lead us to conclude that there is no difference between us and the “lower” animals, but we have intellect, conscience, the ability to design things..
To be a human its a good to be because you have a brain to think to do everything.To not be human its just would feel funny because of the fact they really have more things than they do. To be human it means to love and don’t hate and live your life without perfection. We are different from other animals because we can do things that animals can’t do. To be human means to be flawed, perfectable, wise, foolish, filled with joy and sorrow, in every instant. It means that we are the example of absurdity, deserving compassion and contempt. Humans are unique creatures. We have wisdom, show love, and have power. Humans are capable of doing wonderful things. The difference between humans and animals are humans have more knowledge.